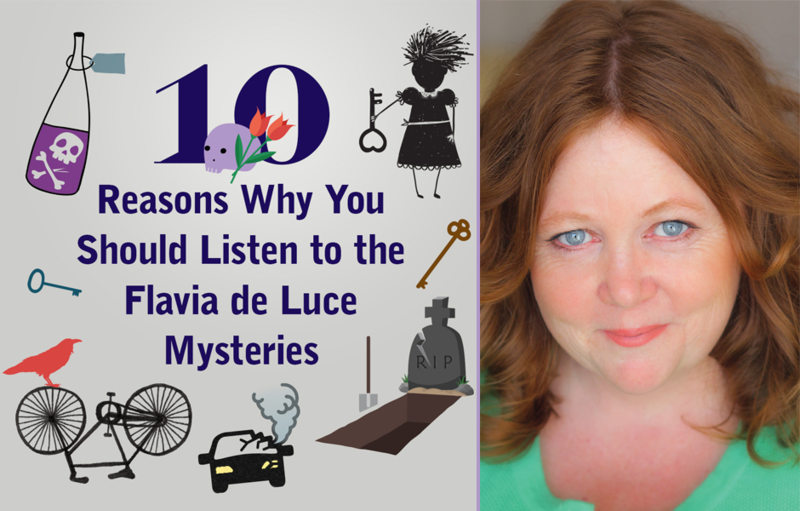 Hello, my name is Flavia de Luce, and I’ve been asked to state ten reasons why you should be reading or listening to my mysteries. The first reason is this: everyone ought to bone up on their poisons before it’s too late. You never know. The second reason: You might pick up some useful tips on how to deal with sinister sisters. The third reason: You can now listen to my audiobook adventures in your motor-car. Just think of it! Stop-signs, strychnine and cyanide! And all without taking your eyes off the road! Delicious! Your chauffeur will love you – and me! The fourth reason: Are you interested in cooking? Stamp collecting? Grave-robbing? Do old churches and undertakers make your heart beat faster? Do corpses and coffins fertilize your fancy? Relax – don’t worry. You’re probably perfectly normal. The fifth reason: Have you ever wondered what really goes on behind closed doors in a 1950’s English village? Prepare to have your hair curled! The sixth reason: Do you talk to your bicycle? I do, and her name is Gladys. Gladys has an excessive fondness for speed and oil, and a downright hatred of mud, the indoors, and pompous people. When she’s sure that we’re alone, she makes naughty jokes about motorists. The seventh reason: Are you one of those poor, perplexed persons who finds Chemistry boring? You might be surprised at what secrets are hidden in those fiddly formulas! (My sister, Daffy, says the word is “formulae” but she’s an obsessive petty-picker. So there! (Blows loud raspberry). The eighth reason: Do you want to help promote girls going into Science? I’d love to have them – and even boys! – join me in my secret laboratory. There’s no telling what might come out of it! The ninth reason: In the world today, there are sinister forces afoot. These can only be countered by bright and alert people who are not afraid to say what they think. I’m waiting for you to join me. The tenth reason: Do you love books? Do you love reading? Do you love spending time with someone who thinks just like you do? Welcome to my world! I have jam-packed ten volumes of secrets to tell you! 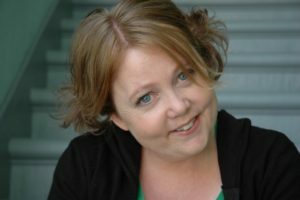 Why does Jayne Entwistle love narrating Alan Bradley’s Flavia de Luce series? “It’s a childhood that I wish I could step into…I love Flavia…I love her as if she really exists…” Lucky for listeners, the lovely Jayne Entwistle exists! Her affection for Flavia has translated into one of the most talked-about audiobook performances in recent years with multiple starred reviews and Earphones Awards, a RUSA Listen List pick, and a Voice Arts Award.